For more detail click on attached more detailed information. 1. After proper loading, the stacks of slabs are to be tied properly by using soft manila rope. The whole assembly is to be rigidly tied to the body of the truck to avoid any damage to the slab. For long distance transportation by road, proper packing should be done to avoid damages in transit. 2. the vehicle should move steadily along the road. Sudden stoppage & speeding up should be avoided. 3. During transit, height of stack on the truck should not exceed 1. 50 m. It is essential to cover the slabs by tarpaulin or any suitable cover. 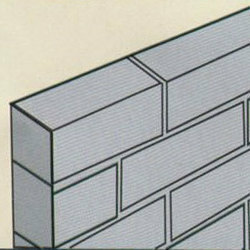 4. the slabs should be stacked horizontally. 5. slabs should not be used for covering septic tanks / water tanks. 1. the slabs should be unloaded preferably with a lifting tool (grab) or manually with proper care. 2. in addition to this, to prevent direct damage to the slabs while unloading, provide two wooden sleepers on which slabs should be gradually unloaded. 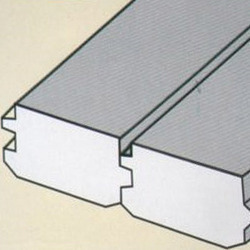 3. the stacking of the slabs should be done as shown in fig. 1. 4. care should be taken to see that the material is transported to the site when it is actually needed for work. Unnecessary stacking of slabs at site should be avoided. 5. the slabs should be placed on plain ground on two timber scantilings 3" x 3" size put crosswise to the slabs at about 114 the span from the ends. 6. the stack of the slabs should not be more than 1. 50m in height. 7. the ground selected should be levelled so as to avoid any water logging. 8. the slabs should be placed in such a way that arrow mark on the end of each slab points upward. 9. if the slabs are to remain during monsoon at work site, proper temporary shed should be provided to allow air to pass through. Alternatively, the slabs should be properly stored in the building where construction is complete and room is available or stacks should be covered with tarpaulin or polythene paper. 10. at the time of removing the slabs, no sharp pointed instrument such as crow bar or hooks should be used to lift the slab or to arrange them in position. 11. the slabs of different superimposed loads shall be kept in different stacks.